Packed with veggies and full of flavor! Perfect to snuggle up with on a chilly day! Rinse the quinoa with cold water in a strainer. This is to remove any bitter taste. In a large saucepan, heat the olive oil and saute the onion, celery, garlic and carrots for 4 to 5 minutes. Stir in the green beans, tomato sauce, Italian seasoning and chicken stock. Bring to bubbling. Once bubbling, add the rinsed quinoa and let bubble over medium heat for 15 to 20 minutes, or until quinoa is cooked. Remove soup from the heat and prepare to spoon into serving bowls. 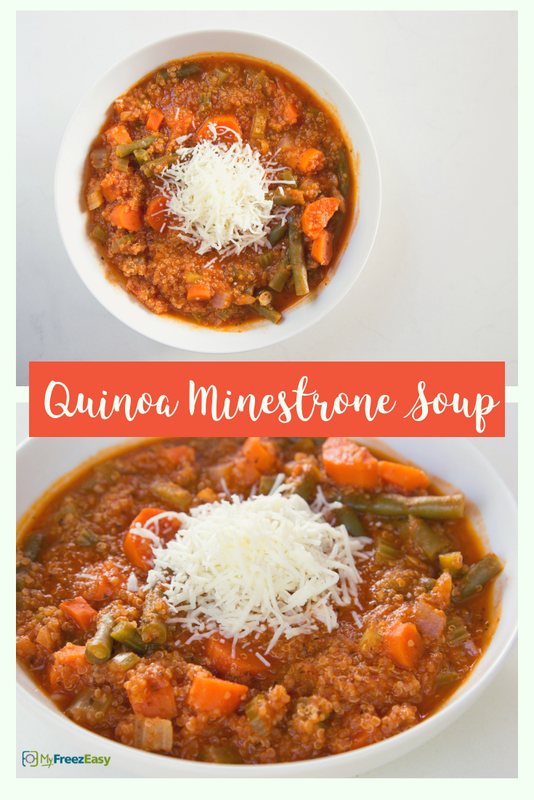 Serve Quinoa Minestrone Soup with side salad. Do NOT add quinoa at the time of freezing. Put baggie in the freezer and freeze up to 6 months in fridge freezer or 12 months in a deep freezer. Thaw in a warm bowl of water for about 20 minutes, before transferring all the ingredients to a large saucepan or stockpot. 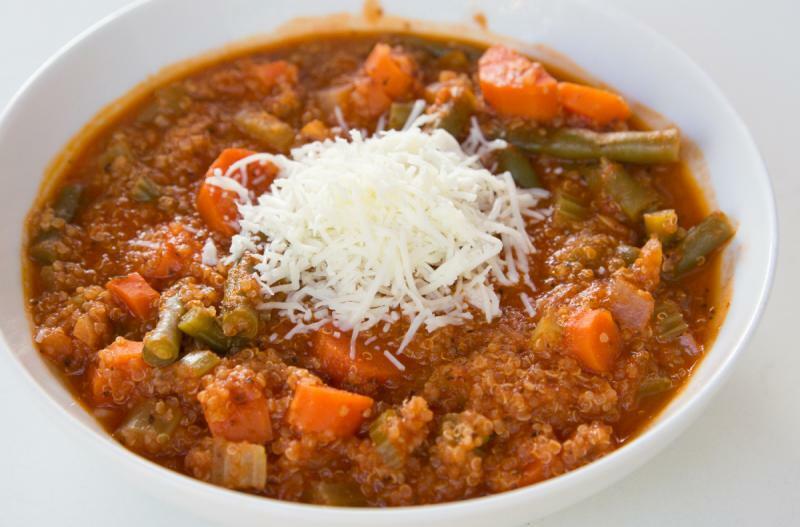 Reheat the soup base and add the rinsed quinoa and cook for 15-20 minutes, as directed. Thaw before adding to Dutch oven or saucepan. Reheat the soup base and once it is bubbling, stir in the rinsed quinoa. Let cook over medium heat for 15-20 minutes, or until quinoa is cooked through.